Students can achieve their academic goals with the right support. Dux Private Tutoring offers experienced tutors at an affordable cost. Our tutors are available to help students in all situations, from short term exam preparation, to long term support throughout the school year and beyond. We are experts at every major exam a student in NSW faces – from OC, to Selective Entrance, to the HSC. 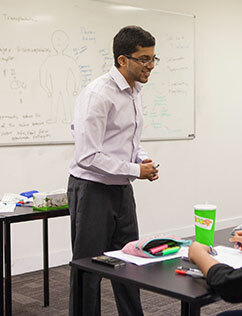 Our tutors know what it takes to succeed and how to get students the marks they need. If you’re after results, give us a call! Our tutors are available all over Sydney, as well as Dux College centres in Parramatta and Bondi Junction. Accountability of our students’ progress and development. We actively track student progress, and we go to extra lengths to support our students’ continual improvement. For example: we provide regular exams that ensure students are actually improving, our tutors follow up on areas of weakness shown by students’ homework, and our tutors provide after-hours homework support. Teachers at their school (for a particular subject, or in general) are unmotivated / disinterested / lack the ability to communicate with students effectively. To be fair, we can’t just blame teachers for this – this issue is a symptom of deeper structural problems of Australia’s education system which we won’t go into here. The unfortunate truth is if you currently don’t go to a top selective or private school, you’re probably missing out on the resources and environment that produces highly successful HSC graduates. Students in top schools have the benefit of being in a healthy competitive environment where they get exposure to other high-achieving students, and therefore a good sense of their own standing relative to the goals they want to achieve. For example, students in James Ruse form study groups each year after the trials to help each other boost the collective pool of marks for their external HSC exams – it’s this sort of cooperative behaviour that contributes the extremely successful results of top-ranked selective schools, year after year. If you do go to a top selective or private school, tutoring can also help you improve your internal ranks at school (rank is what matters to your end result, not simply what marks you’re getting) or maintain your top ranks. If you’re struggling in a difficult subject, tutoring can help you stay afloat and eventually get ahead of the curve rather than face the alternative of dropping the subject (generally, difficult subjects like extension maths, are much more rewarding to your ATAR than ‘easier’ subjects due to the effect of HSC scaling. We understand all these issues all too well, and our services are designed to give motivated students the results they deserve.